ROAD TOWN, Tortola, VI- While there are reports of Government being unable to pay civil servants due to the treasury being broke even before Hurricane Irma struck the Virgin Islands on September 6, 2017; the National Democratic Party Government of Premier Dr The Hon D. Orlando Smith (AL) is blaming its "server system" for yet another delay in payments. Civil servants, who have been mandated to produce timesheets as proof of hours worked, were promised payment on October 9, 2017 for the latter half of September. 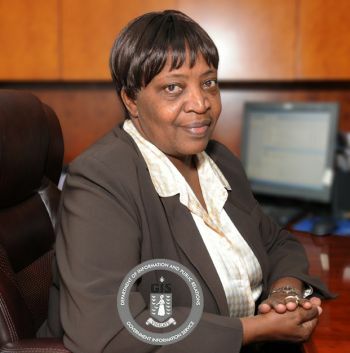 However, a statement issued by the Deputy Governor Rosalie Adams this weekend, advised public servants that their salary would not be ready for today. "Public Officers, as a result of reduced power to the Central Administration Complex, which could not fully sustain Government’s server system, there will be a further delay in the processing of payroll for the end of September pay period. According to Mrs Adams, the payroll will not be issued on Monday, October 9 as previously anticipated and "we apologise for this occurrence. However, we anticipate that the payroll will be issued by the close of the week of October 9." "We thank you for your understanding during this time and again, we apologise for this delay in payment and any inconveniences caused. We value your hard work and commitment to the Government of the Virgin Islands and ask for your continued support as we rectify this issue during the recovery and rebuilding of the Territory," Mrs Adams stated. Many businesses have been feeling the effects of Hurricane Irma and have been forced to let go some of their employers, including companies such as RiteWay Food Markets and Nanny Cay Restaurant and Marina. 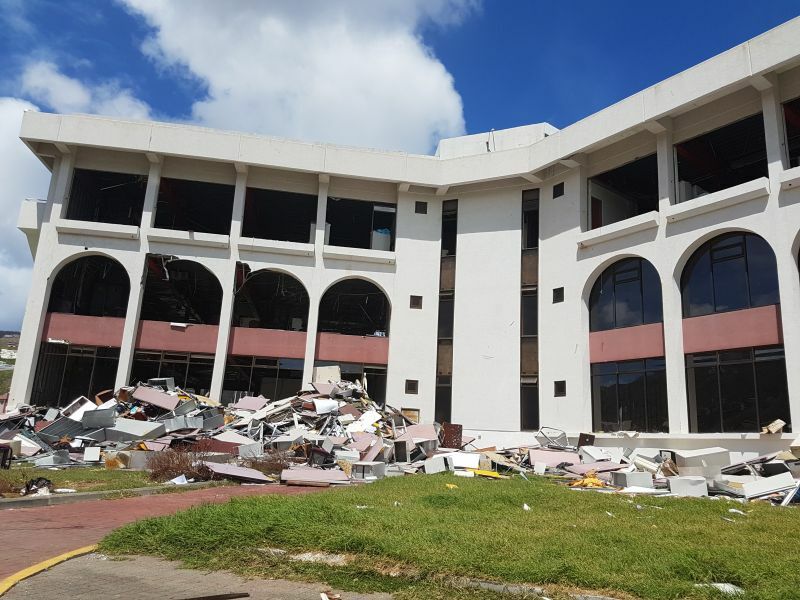 One company, Digicel, has been hiring persons instead as it said it needed all the resources to restore the telecommunications infrastructure. Server my @$$. They just using that as an excuse because really and truly they have no money to pay the civil servants. Whatever happened to the reserve fund? Didn't the UK make it mandatory that they set aside money so that even if they didn't have any money coming in they still would be able to pay the civil servants for 3 months. Airplane isn't a person although its still a noun. They gave WIPIPO 7 million to take car of WIPIPO problem. When you find a @$$ you ride it. If no money be the case they so know the most that going happen bout it is people coming on and blogging bout "wait till next election!!". We going just lay down and take it like usual. Government can borrow from Rite Way to Pay Cevil servants. They will be glad to lend them... Rite Math---Lets assume 1000 generators at $175.00 profit on each generator. Do the Math..--50 Laid off workers at $260. Weekly for each worker...Rite Way just from Generator sales alone can pay these 50 laid off workers for 3 months and end up with a profit..Just from Generator sales alone...We cant blame Rite Way..Now its those in Authority who suppose to protect the workers and the people they are not doing their Job..
Stop being a jackass thats not how businesses work. You can always tell th bloggers who never ran a business or own one, always some BS! Firstly do you think the only expense to a business for employees is their flat salary? Also its strange that whenever the issue of layoffs come up nobody talks about the responsiblities and accountability of the workers involved. Its always the big bad company and the workers are all angelic victims. To add to ronnie argument bout who looting we need deport them in the ministry who looting to balsam ghut. The Government and R*****Way are the two biggest Mafair and Skam. It hurts to see How our government treating their own people. It also hurts to see how people buying up R*****Generators and supporting a company that laying off and firing people that they dont have to.. People can important their own generators.. People need to eat and pay their bills. They can do better. Stop supporting these companies that are promoting lay offs.. This is just the perfect excuse for heartless people..People at Rite way say the white man watch them sit down to take a breather bam they are fired. IF they open they mouth to talk about something they dont like they are told they better glad they have a Job and be quiet. They go labour and Labour say come back in 3 months. What DF. They firing the small man for taking a breather but they have people sitting in office all day earning 4-5-6 gran a month doing little or nothing...Just to go in meetings and say who to lay-off... None will valunteer to take 3 months off without pay.. Yet they dishing it out to others that working hard....How is this right? The govt is far from broke. Irma is just exposing the gross incompetence of senior civil servantd who have long had a smooth ride with no accountability. The Ministers dont do payroll so how are they to blame? TheTerritory will never get better with false pretense, nobody wants to be real about the issues. This disaster happened for a reason and the sad part is we havent seen anything yet. I saw where u are offering a Godly out reach to house owners who lost their Roof to Irma and do not have insurance to get free ply.. I beg u. Please do not give government or government officials this Godly out reach to execute. Set up your own investigative and appllication process and u be the executor if u want your Godly effort to have the Godly effect..keep the good works up.. " A Rich man once set up a stall to feed the poor but the rich came with their containers and take it all because the dishers were their Rich friends"
VINO how come you didn't tell us about the missing vault from the airport with thousands of $$$ after Hurricane Irma. Tax payers need to know where they money gone. Irma was bad but, she is flushing out the dirty secrets. How in the H;ll there is no money to pay Civil Servants. People is just bouncing back trying to get themselves together from Irma now they have to hear this S;:t of a mess our Government is dropping on us. The Government must have money. The workers not paid for some time. They will be looking for other jobs and that will include health and police workers. Bring back the Marines! Poor mankind. Half a job and no pay?. We got mortgage to pay in two months. Come on Govt. Dont punish us for the millions and millions out througj the door. Governor we need an Aid dustribution investigation. What im hearing and seeing on the street is troubling...Seems like security people and officials take all the nice aid gagettes.. I saw one and I was told it was given to them by a security official who said he has got alot. Its really nice.. its like a rechargeable balloon light.. That can light uo a houss for 3 nights once charge.. enough came for each house to get one...Not much people have seen them. This is just one of many many items..
Why did our government get rid of UK assistance as quickly as possible? Is it perhaps because if they stuck around, the UK would have noticed certain issues that prompted an audit? And what is owed to the public servants? Last payroll must have been the 31 August 2017. 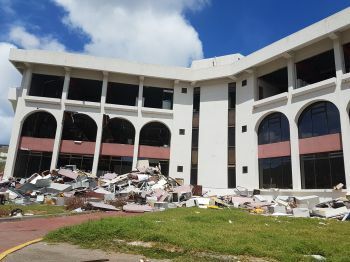 Irma hit on the 6 September 2017. And since then, they have not worked until this week, cleaning their offices. What is owed to them in salaries? You don't work; you don't get paid. Simple. Your comment shows how ignorant you are. Yes, there may be a few public officers (NOT public servants) who have not been working to their full potential, however MANY were on the jobs from September 7th/8th doing work to aid in the restoration of the various offices and deserve to be compensated. Maybe you should take a drive around to the various offices and see the work that was done, from sitting behind the computer talking piss. I am sick of people like you who categorise ALL public officers as slackers; that is BS. There are slackers in Government, Trust Companies, Schools etc.. yes, surprise, surprise, there are slackers everywhere! At the end of the day, persons who work deserve to be paid. You speak from the abundance of ignorance. Irma will be blamed but they have long wanted to downsize. Government workers are being exploited because of the gross incompetence of this Government and their gross lack of planning and mismanagement of the people's money. Trust me it will happen. If they don't take heed, a worst thing might befall us. The handwriting is on the wall. God still sits high and watches low. The entire country will suffer as a result of their sins. Watch and pray.